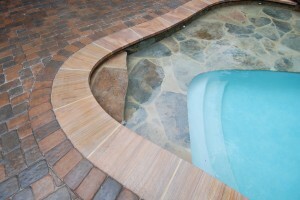 Swimming pool rehab is a huge step for any household. Not only does a pool radically enhance a backyard setting, but it encourages people to come together for fun, friendship and relaxation. After all, who doesn’t love a little vacation right when they walk out their back door? However, it’s important to remember that your days as a pool owner aren’t always guaranteed to be filled with sunshine. If you currently have a pool, you can probably attest to the fact there’s nothing more frustrating than when something goes wrong just before good weather is supposed to hit. That includes algae build-up, foggy water, brownish hues and a whole lot of cleaning that often goes nowhere. Thankfully, VistaPro Landscape Design is professionally equipped to handle any and all swimming pool rehab and renovation troubles that might come your way. From new plaster orders and plaster repair, to tile and coping, you’ll never have to worry about the state of your in-ground pool again. Our experts are well-versed in just about all aspects of pool repair, and we only rely on the most experienced and knowledgeable contractors to ensure that your pool system gets the precise attention it needs. If you’re not 100 percent sure about the source of the problem, don’t worry at all. One of our team members will happily come take a look at the site, and inspect whether there’s an important need for tile repair, coping repair, plaster, or all of the above. You will also be notified if one of our crew members uncovers unforeseen problems during the inspection. Don’t wait any longer. If you’re interested in building an in-ground pool, or repairing an existent one, feel free to call VistaPro Landscape Design today. Our numbers are as follows: 301-805-0119 (DC Metro), 410-878-2100 (Annapolis), 703-652-4545 (Virginia). We look forward to hearing from you!